Remember that song Janis Joplin made famous “Piece of My Heart?” I do, and it reminds me of the fundamental difference between financial and healthcare data breaches. The breach of personal financial information causes stress — recovering missing funds, paying late fees or interest, worrying about credit worthiness. Ultimately, however, a person’s financial identity can be fully restored. Not so with medical identity. Healthcare data breaches have a much more personal, longer lasting, and potentially deadly impact. Victims are at the mercy of those who, through fair means or foul, have control of their protected health information (PHI). And several factors contribute to the costlier, deadlier effects of healthcare data breaches over financial ones. 1. High volume of healthcare data breaches. 2013 statistics from the Identity Theft Resource Center were reported in a recent Fortune.com article: 44 percent of all breaches were healthcare related, while financial service breaches were just 3.7 percent (the first time that healthcare industry breaches exceeded all others). Healthcare is again on track to lead in 2014, also according to the Identity Theft Resource Center—a dubious distinction, to be sure. 2. The difficulty in restoring medical identities. Victims of healthcare data breaches have fewer resources to help them. 3. Ignorance of the deadly consequences. Individuals don’t realize the devastating impact associated with a breach of their health records. What was presumed private—physical, mental, and prescriptive health history — could be made public and used inappropriately. This data could appear anywhere at anytime, online, in the form of cyberbullying or worse, blackmail. By Jeffrey Roman, November 10, 2014. The Federal Bureau of Investigation is leading an investigation into a data breach at the U.S. 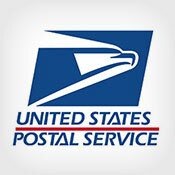 Postal Service, which affected employees and customers. In a Nov. 10 statement, which provides few details, USPS says it recently learned of a “cybersecurity intrusion” into some of its information systems. All operations are now functioning normally, according to the statement. More than 800,000 employees were impacted in the breach, says David Partenheimer, spokesperson for the USPS. Employee information potentially compromised includes names, dates of birth, Social Security numbers, addresses, beginning and end dates of employment and emergency contact information. Customers who contacted the Postal Service Customer Care Center with an inquiry via telephone or e-mail between Jan. 1 and Aug. 16 were also potentially affected, although USPS is still investigating the exact number of individuals impacted, Partenheimer says. Potentially compromised customer details include names, addresses, telephone numbers and e-mail addresses. CNN, citing a U.S. official familiar with the breach, says 2.9 million postal service customers were affected by the breach. Transactional systems in post offices, as well as on usps.com, where customers pay for services with credit and debit cards, have not been affected by the breach, USPS says. There is also no evidence that any customer credit card information from retail or online purchases, such as Click-N-Ship, the Postal Store, PostalOne!, change of address or other services was compromised, officials say. The USPS says it’s not aware of any evidence that any of the potentially compromised customer or employee information has been used to engage in malicious activity.